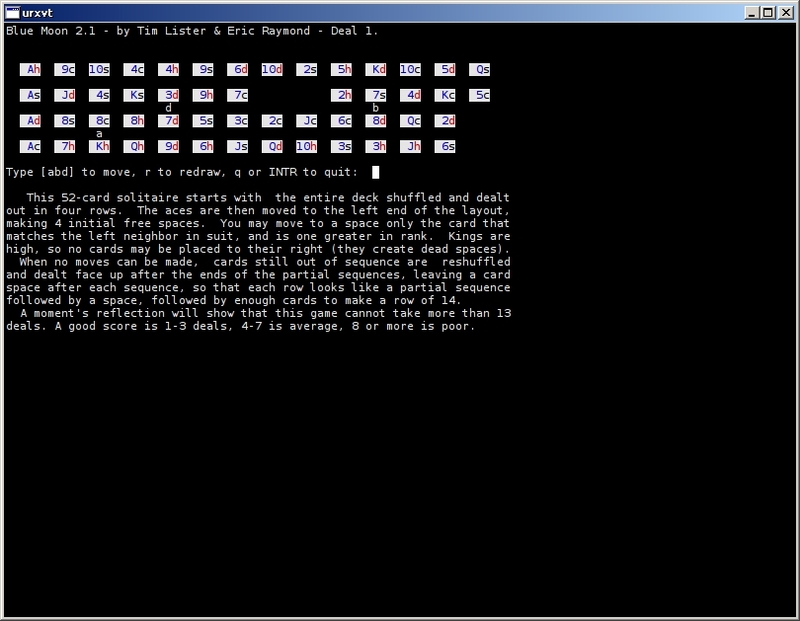 A few weeks ago when I spun past bs, a rendition of the classic pen-and-paper Battleship game for the console, I learned that bs is occasionally included as part of the keystone ncurses package. That’s not an artifact; gdc scrolls its numbers into place, which is a neat effect. I better tell the tty-clock gang about that. 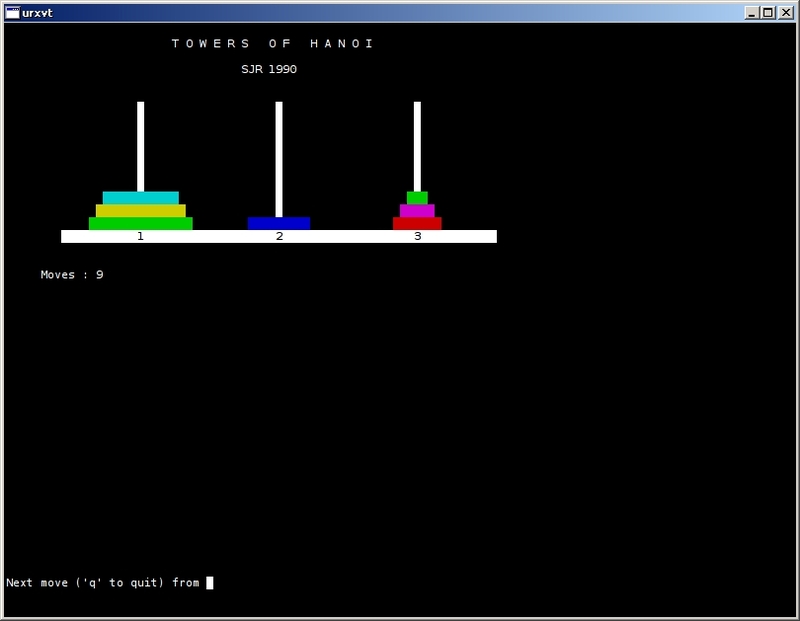 There’s a Towers of Hanoi game. 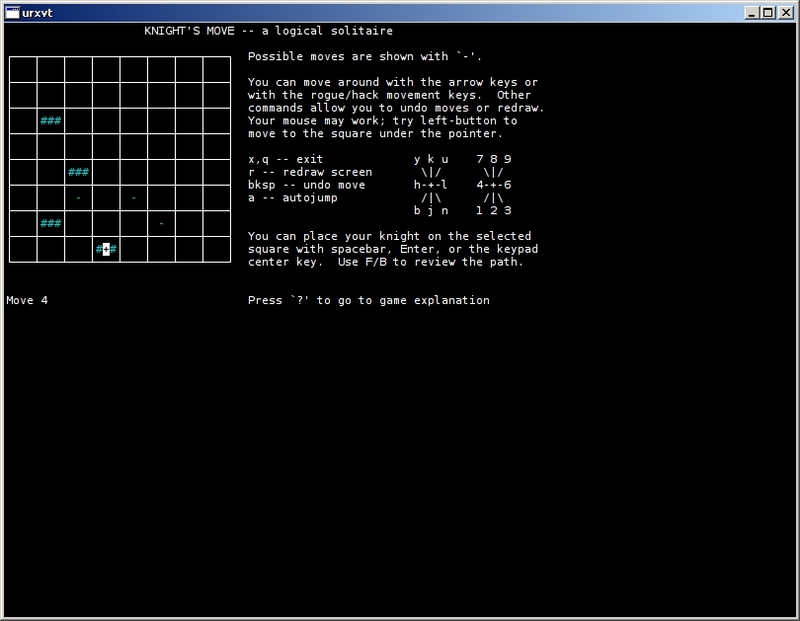 And a digital puzzle of the Knight’s Tour. 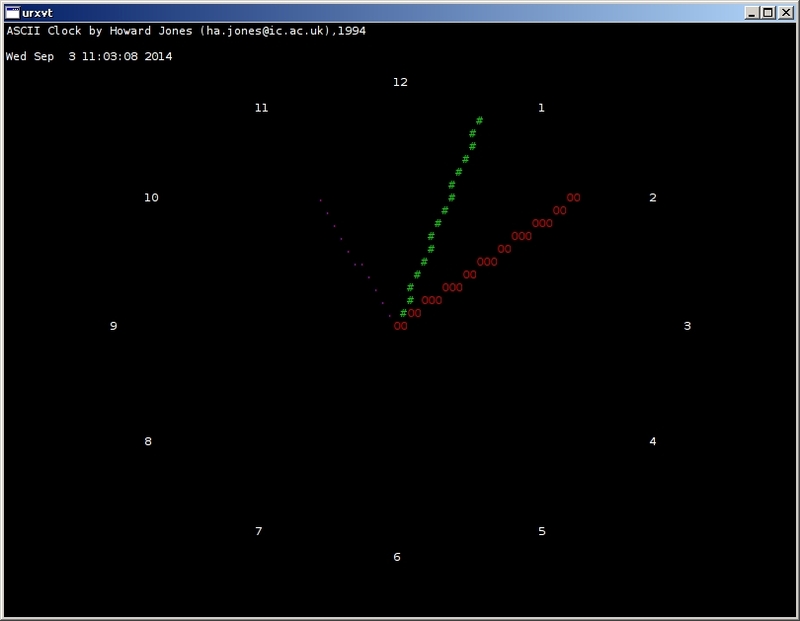 And a couple of utilities, including view, which works like a pager crossed with a magnifying tool. 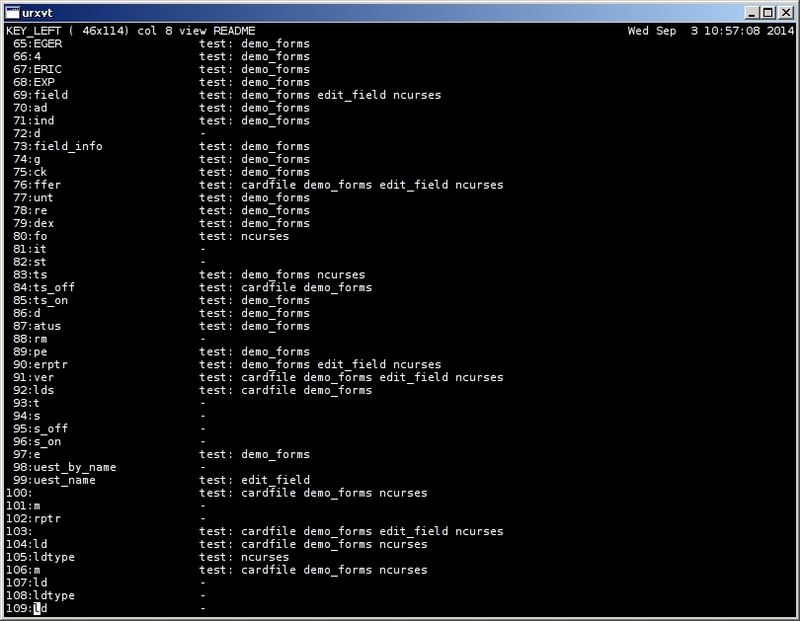 The majority of what you’ll find in ncurses-examples is really just tools for testing or demonstrating the package. I was able to compile this from scratch in Arch with no problems; I expect it’s even easier with Debian’s prepackaged version. 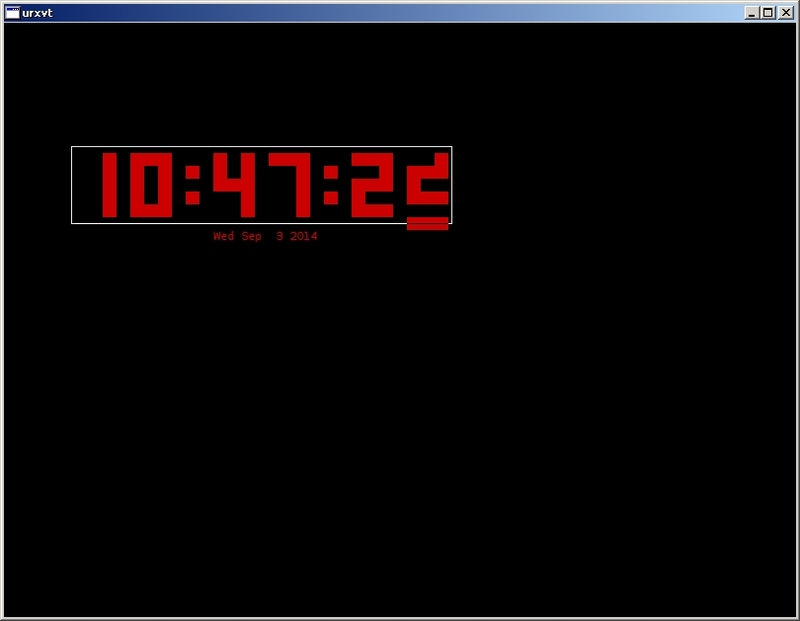 This entry was posted in Linux and tagged game, screensaver on 2014/09/03 by K.Mandla.